John Deere Gator Plow Pro Heavy Duty Snow Plow - The SuperATV Plow Pro snow plow mount is designed to be winch operated (winch sold separately) so the winch mount is essential to its operation. 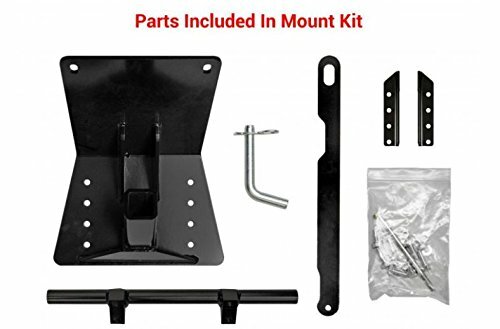 It is a bolt-on design, no drilling necessary, and designed to remain on the machine with a blade quick connect for easy attachment. FITMENT: John Deere Gator XUV 625i: 2011-2017 , John Deere Gator XUV 825i: 2011-2017 , John Deere Gator XUV 825i S4: 2011-2017 , John Deere Gator XUV 855D: 2011-2017 FEATURES: Bolt-on design with black quick connect, OK to leave on machine year round, Easy to install and operate.